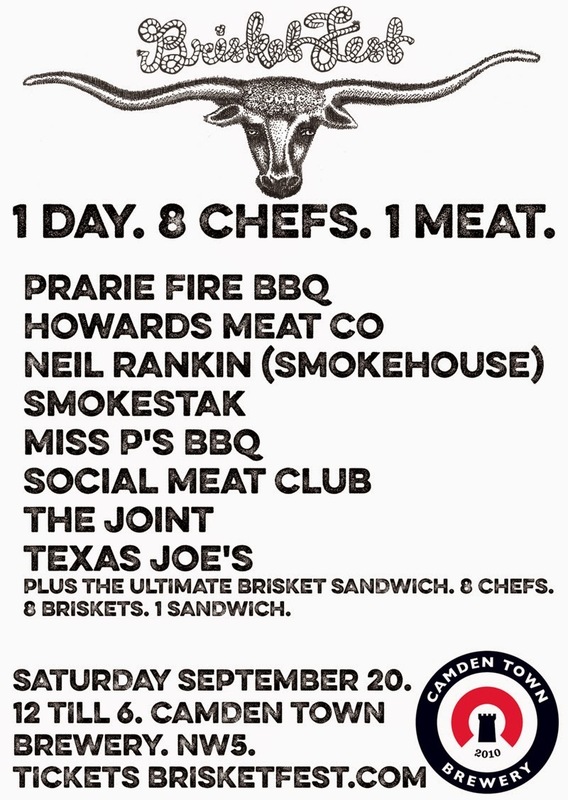 On Saturday 20th September Texas Joe is hosting BrisketFest at The Camden Town Brewery. Brisket is a cut of beef from the lower chest, and Joe and his compadres are experts at cooking it. Your £30 ticket gets you a serving of brisket from each of 8 amazing chefs, plus special guests, and a pint of USA Hells. Expect... BBQ, and Brisket! When I first moved to London nearly four years ago the state of BBQ was pretty dismal. I actually nearly punched a chef for serving me parboiled ribs! Things have changed a lot in the subsequent years. The rise of street food has proved to be perfect soil for growing a new generation of BBQ lovers. The new BBQ is mainly done the old fashioned way, through hard work and low and slow cooking. London now has an abundance of choices and a lot of them are great. The great pretenders are still around as well but they better watch out. We are helping to educate the people as to how great BBQ can be and their pale imitations won’t be tolerated. I’ve hand picked this lot of chefs. They all make great food. They also make great friends. We are building a BBQ brotherhood. We are likely to recommend each other to you when you order from us or get to talking about Q. We believe in each other and we believe in the power of BRISKET!"